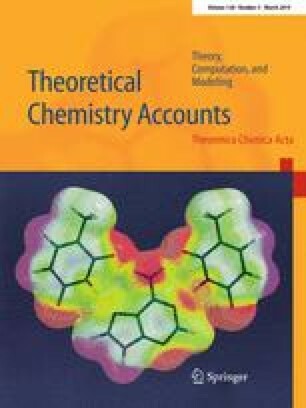 Modeling of spectral properties of extended chemical systems, such as the case of a solute in a solvent, is often performed based on so-called hybrid models in which only part of the complete system is given a quantum chemical description. The remaining part of the system is represented by an embedding potential treating the environment either by a discrete or continuum model. In order to successfully make use of minimally sized quantum chemical regions, the embedding potential should represent the environment as authentic as possible. Here, the importance of exactly such an accurate description of the embedding potential is investigated by comparing the performance of the polarizable embedding scheme against larger-sized full quantum mechanical calculations. Our main conclusion is that as long as the solute and solvent do not overlap in their absorption spectra, the polarizable embedding approach shows results consistent with full quantum chemical calculations. For partly overlapping absorption spectra, the polarizable embedding approach can furthermore successfully be expanded within a Frenkel exciton approach based on only economical monomeric quantum chemical calculations. Thus, by extending the polarizable embedding scheme to the exciton picture, it is possible to cover computations of the whole absorption spectrum and still reduce the computational cost compared to costly cluster calculations. The online version of this article ( https://doi.org/10.1007/s00214-019-2430-5) contains supplementary material, which is available to authorized users. The authors would like to thank Joel Milanese for providing the structures of the water systems used in this work.